Whatever the activity is to be done on the computer – whether it is for checking email, social media, watching videos on YouTube, or just merely surfing the net – Chromebooks are always the perfect companions in doing such tasks. They were made and designed for ease of convenience. 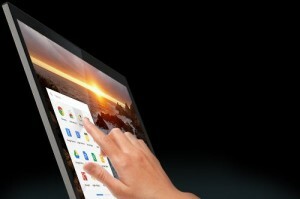 Several computer companies have already partnered with Google to develop a series of devices that enables users to experience what the Chrome operating system can do, but now Google itself has launched a device of its own the GOOGLE Chromebook Pixel. Believe it or not, anyone can consider it as the ideal laptop that is fit for a new generation of computer users. As one of the high-end Chromebooks to have ever released, it draws together the best of hardware, software and design, and it is made as an inspiration for future innovations, especially for the next generation of Chromebooks. Possessing a lightweight platform and a dual-core processor, the Pixel is a perfect marriage of cutting edge design and high performance quality. 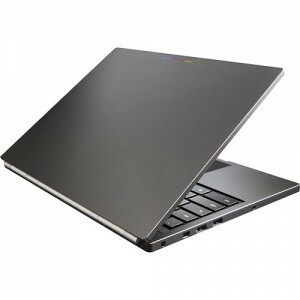 One of the Chromebook Pixel’s interesting features in the design aspect is its somewhat “glow-in-the-dark” keyboard, which has a back-light that automatically adjusts according to room lighting. Hence, when the Pixel is being used in a dimmed room, the keyboard will light up. It will eventually dim when it is transferred to a well-lit place. The light beneath the keyboard also adjusts according to the way it is being used – for instance, the keyboard will automatically dim once the user starts to watch a movie from the device. Some of the commonly done activities on the computer – from managing files and editing photos, to as simple as browsing through apps – comes with ease by just a touch or swipe of fingertips. The Pixel has a touch screen that is akin to a tablet PC, made possible with 0.55 millimeter layer of Gorilla® Glass that is attached directly to the screen. It enables users to effortlessly swipe through apps and windows while preserving display clarity. If they still find it hard dealing with the touch screen, they have an option to use the glass touch-pad instead – designed for better and more accurate navigation. Finally, topping the device is a multicolored light bar (found on top of the device) which adds coolness to the design of Pixel. 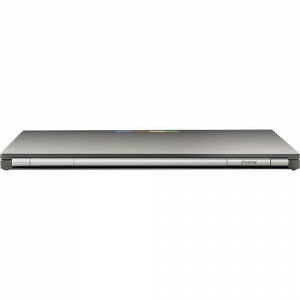 The Chromebook Pixel possesses a dual core processor (Intel® Core™ i5), thus enabling the system work at blissful speed. It starts up in seconds, and it requires almost no maintenance. It gets updated every few weeks, and its pre-installed antivirus software keeps the device protected from malware and threats. The high-speed performance of Pixel makes users do things efficiently with ease, thus leaving them with more time for them to do whatever they want. The built-in Wi-Fi and LTE modem provides fast connectivity, therefore allowing users to connect to the internet without wait. One of the key features of Pixel is its state-of-the-art display. With a screen measuring nearly 13 inches long and an aspect ratio of 3:2 that’s designed especially for the web, its screen resolution of 2500 x 1700 enables more than 4 million pixels work in a single screen. 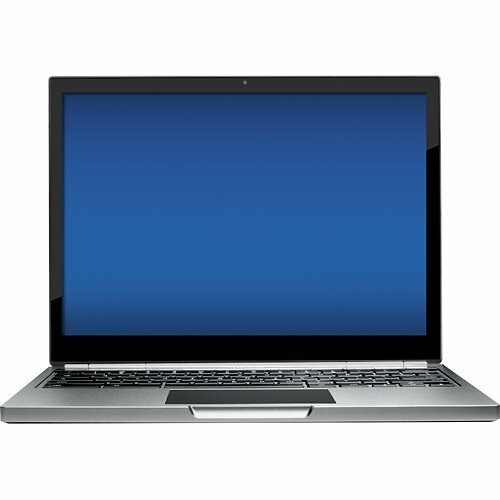 Therefore Pixel boasts the highest pixel density any laptop could ever have – high enough to deliver high-quality graphics and wide viewing angles of 178°. Google Drive – The Pixel must be perfect for multimedia lovers or for anyone else who needs amounts of storage memory for the many files they have. Through Google Drive, one terabyte of cloud storage has been made available for 3 years, until redeemed. Users therefore can have access to files and multimedia from all devices. Google+ Hangouts – Hangouts become a perfect experience for interacting with friends and family with an integrated HD webcam (integrated 720p HD camera), microphone array, and active noise cancellation. YouTube – Because of the high resolution display, high pixel density, and HD compatibility, videos on YouTube becomes more spectacular to enthusiastic video lovers. Hence, they’ll make the most out of their digital viewing experience. Gmail – Whether using the touchscreen or the track pad, checking and managing email is just as easy as a swipe of a finger. ﻿Despite the features that make it a near-perfect device, the Chromebook Pixel is not designed for everyone. It has limited (or almost none) access to some of the most popular software. This means that it is not intended for dedicated users of Photoshop, Microsoft Office or iTunes; it is meant for people who do most of the work on the internet due to its fast system and connectivity. This may also be an issue to the budget. Some users may not be able to afford the Pixel due to its high price. Nevertheless, users may make it a point to save some extra money for them to experience its high-end feature﻿s. Also Check all of our internet DEALS for "Black Friday 2014" for Apple iPad Tablets, iPhone 6, iPhone 6P, Walmart, Sam's Club, Best Buy, AVON, Macy Department store, Game Stop, Amazon Store, and Google Nexus 7 Tables, Nexus 6 Cell Phone.